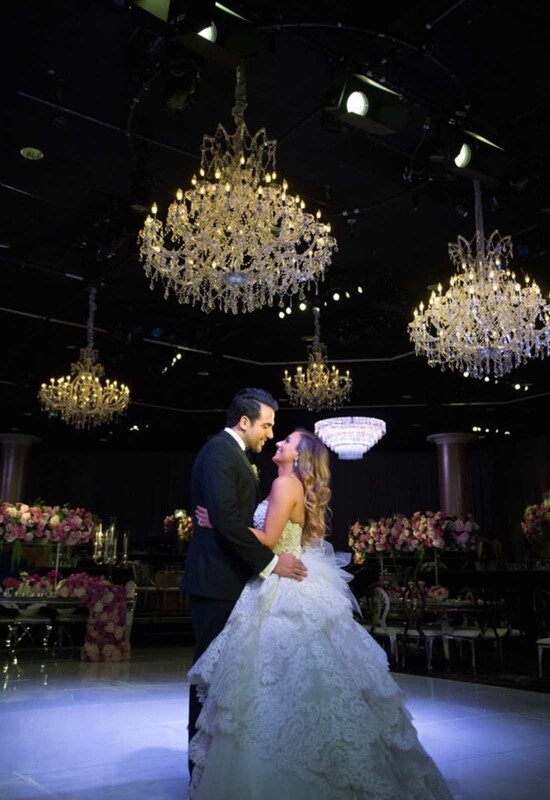 All eyes were on Della Shaker on August 26, 2017 as she walked down the aisle at the Beverly Hills Hilton to wed her soulmate, Benjamin Tehrani. Considering the awe-inspiring pearl and lace ball gown she wore for her grand and upscale wedding, this was rightfully so. A luxurious eye-catcher of a gown, it was everything Della had imagined for wedding dress. 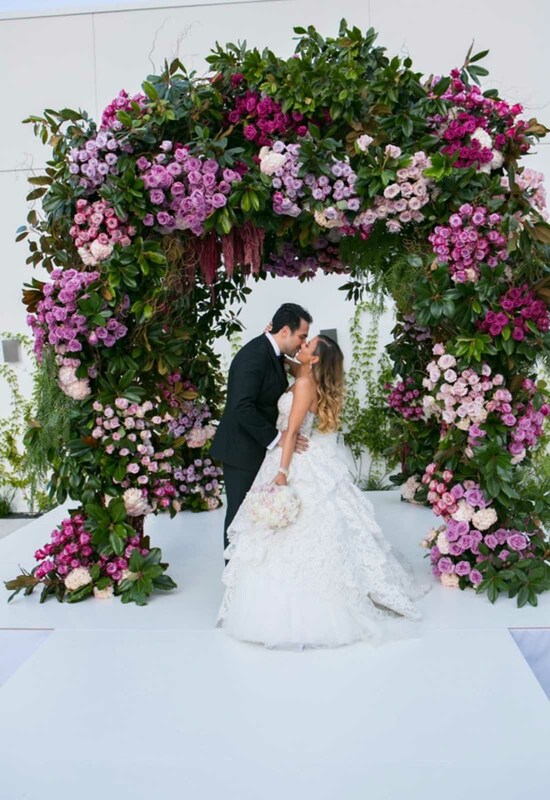 While on a trip to New York City with her fiancé and mother-in-law, Della decided to seize the opportunity to visit the Pnina Tornai Boutique at Kleinfeld Bridal. Della had seen a Pnina Tornai gown on Instagram and wanted to visit the salon in hopes of simply trying on the glamorous gown. 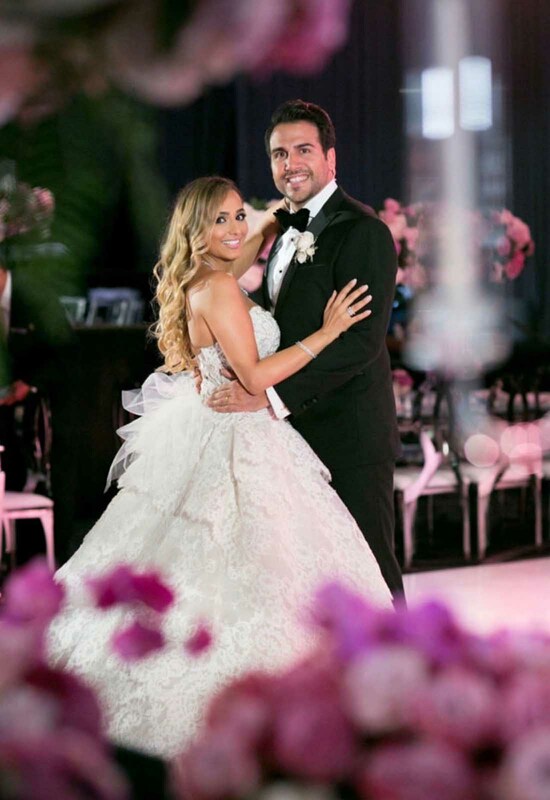 The gown that Della had been pining over was a fabulous Pnina Tornai ball gown with a pearl embellished corset and full lace skirt from Pnina’s Wind Upon Water Collection. Looking at the gown, anyone could understand why Della and everyone else fell head over heels in love with it. “I loved it! I didn’t want to take it off,” Della exclaims. Everyone was immediately smitten with the gown. Della even Facetimed her mother while she was in the dress, and she loved it as well. Since it was a little bit out of her budget, Della left the salon without the gown thinking that she could find a more affordable version of the dress at home in Los Angeles. However, as Della soon came to find out, finding a gown as magnificent as the Pnina Tornai gown she tried on in New York was proving to be quite the challenge. Ten salons and way too many gowns later, Della was finally ready to purchase the gown that she absolutely could not get off of her mind. 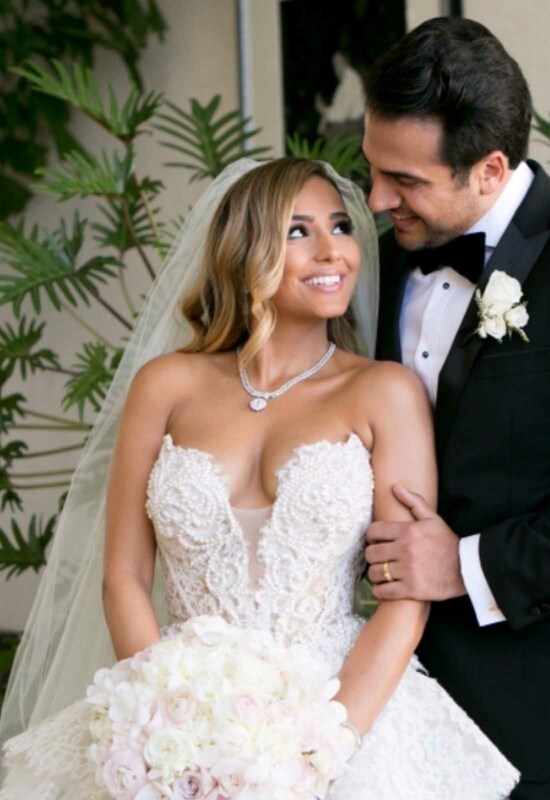 Della and her mother both agreed that nothing compared to the Pnina Tornai ball gown and Della made the call back to the bridal boutique to order her dream gown! Now most people would look at this gown and think that the only jewelry they would even think to wear with such a lavish gown would be simple pearl studs and their wedding rings. However, in Della’s culture it is customary to receive jewelry from your parents, your future in-laws, and your husband and wear it all on your wedding day. Luckily for Della, against the backdrop of her flowing tresses, all of her jewelry worked cohesively with her gown creating a grand look for her special day. Lastly, Della wore a two-tier, cathedral length veil for her magical ceremony. 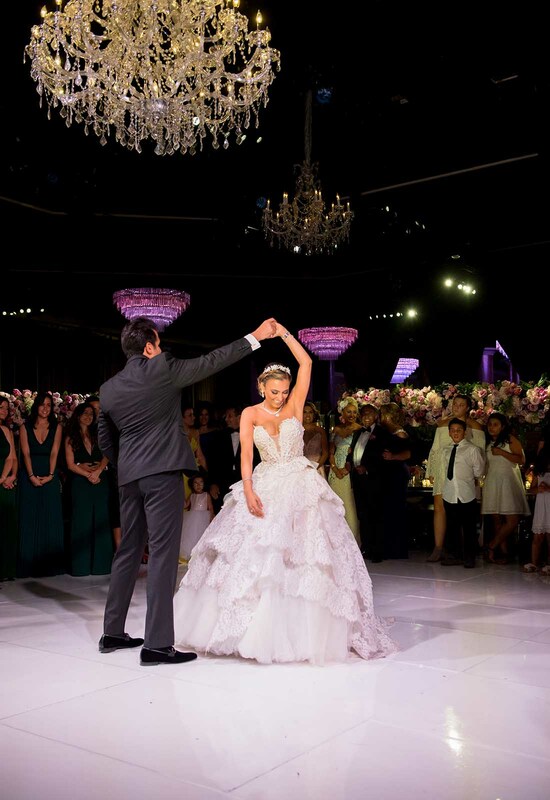 An illustrious gown like that deserved an equally stunning wedding venue and the Beverly Hills Hilton was just that. 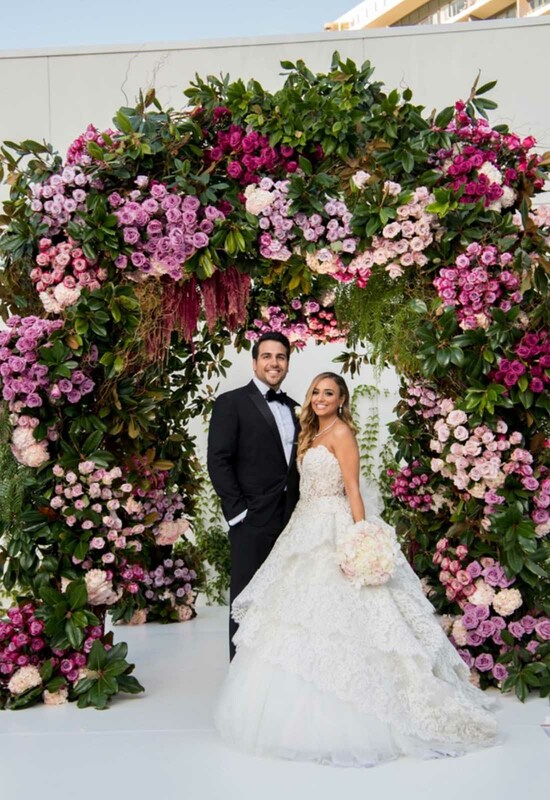 Surround by gorgeous flowers during the ceremony and then shimmering chandeliers during the reception, Della’s ball gown was just the thing to tie everything together. “I felt like a queen,” Della reminisces. A queen she truly was.